Managing your blog should be on your list of ‘things to do’ to help your business stay on top. That said you don’t want to sign up for autopilot blog management schemes because with these schemes you will be doing more harm than good. You need to have a blog plan that is original, market specific and yielding at the same time. For this you will have to spend a good amount of your time in making sure the above goals are met. Sounds like a big commitment, doesn’t it? Sadly, it is but the good news is, this is not the only solution. You can hire a third part blog management company to do this for you. Here, we are going to learn what such a company can do for you. Blog management takes its roots from efficient keyword research. That is so because without proper research, you could be denying yourself a very good opportunity of increasing your website page rank. The blog management company you hire will come up with a list of keywords whose use and placement will help you brand yourself. For instance, if you run a window repair service and you want to target local customers, coining the right keyword matters and inclusion of place in the set of words used will help you get to your customers. It is very important for your blog to give off the right vibe and this is possible only when a REAL person is managing it. 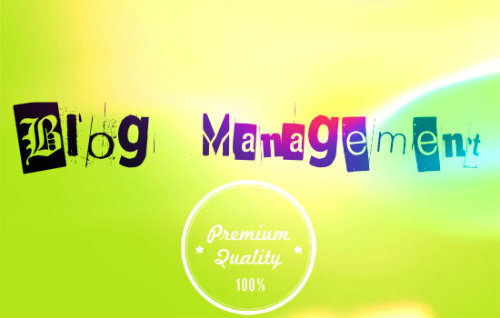 Blog management companies that offer top notch service assign management tasks to individuals who play a key role in making sure content on the blog is genuine and also meets the need to project continuity to the readers. Blog management is more than a hobby; it is a goal oriented task. With all the investment you put into hiring a company and making sure it manages your business blog, you want the end result to get you more traffic. Otherwise the purpose of setting up a blog will be lost. These are some key areas where blog management will help you get to your business goals fast. This time you assess a company’s credit, make sure you have these parameters in mind. Claudia Martinez is a blogger with special interest in business blogging. She also runs online tutorials to help businesses manage blogs and/or look for services that assist with blog management. These are very useful info and I think this will make my blog to have much traffic..Thanks..